Belgium face Wales on Sunday and you’d expect an air of confidence about a team placed fourth in the FIFA rankings facing one in 34th position. But it’s not quite like that. Although Marc Wilmots’ men defeated Iceland 3-1 on Wednesday, both the coach and the performance were heavily criticised. 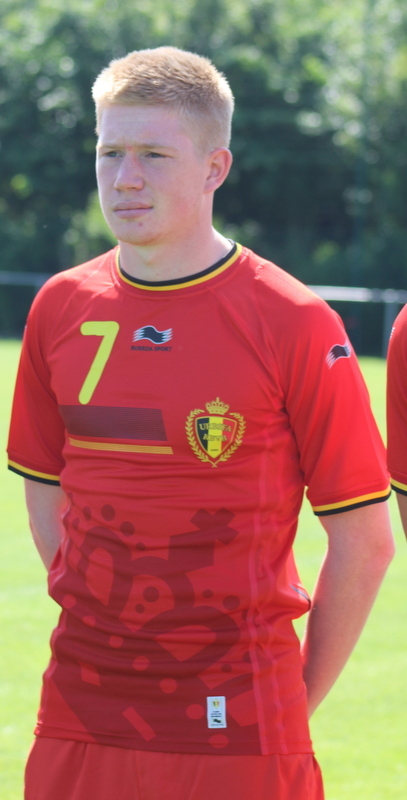 Wilmots rested several players (most notably Kevin De Bruyne and Nacer Chadli) but the back four was the one that will face Wales and that’s the area that received most of the criticism. And it wasn’t just from the media, with Thibaut Courtois also weighing into his team-mates. The Chelsea keeper wasn’t happy about certain players relaxing in the second half – even asking Wilmots to make some substitutions. 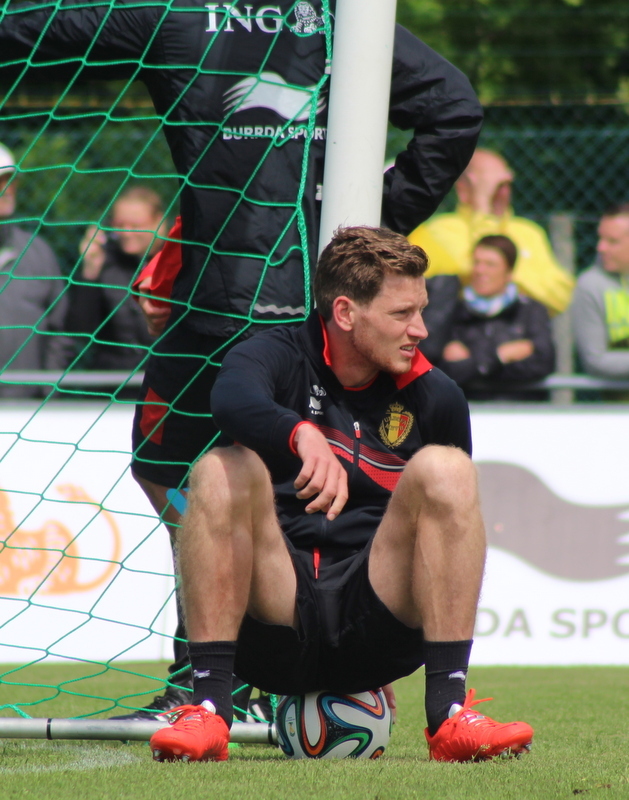 Courtois also accused the full-backs (Anthony Vanden Borre and Jan Vertonghen) of neglecting their defensive duties. The Belgian media weren’t impressed either but it must be remembered that the Iceland game was a friendly and Wilmots was experimenting. At one stage, Christian Benteke, Divock Origi and Romelu Lukaku were all on the pitch as team-mates – that’s probably never to be seen again. But if Wilmots hadn’t tried something, he would have been criticised for not using the opportunity to look at a few fringe players. Central defence used to be the area where Belgium had an embarrassment of riches, with seven seemingly first-class contenders in the squad. Things have changed since Brazil. Daniel Van Buyten, who had a great tournament, has retired, Thomas Vermaelen now spends most of his time in the Barcelona medical room and Vincent Kompany is ‘again’ out injured. This means a new back four with Zenit’s Nic Lombaerts now in command of the defence. He’s a fine player who deserves a chance but he’s not a proven leader. Alongside him will be Southampton’s Toby Alderweireld; he’s surprised me by adapting so well to the Premier League, but he’s hardly a seasoned international centre back. As a by-product of Alderweireld’s switch, Vanden Borre is the first-choice right back, which could bring its own problems, given his wish to plough forward. Due to the lack of defensive nous against Iceland, Wilmots has said he’ll move Lombaerts’ club colleague Axel Witsel back in front of the back four – a position in which he is world-class – and De Bruyne will come in as the main creative force. He’s on fire in the Bundesliga with nine assists so far. For the box-to-box role (no. 8), it’s a toss-up between Marouane Fellaini and Roma’s Radja Nainggolan. The current has never really flowed between Wilmots and the Roma warrior and Fellaini could get the nod, with the latter’s height being seen as a big advantage. Chadli had been in excellent form for Spurs and is a firm Wilmots favourite – he’ll come in on the right with Eden Hazard on the left. Hazard has a poor record for Belgium and Wilmots presumably lives in hope that his next game will be the big one. Up-front, Benteke had a reasonable return to the side on Wednesday and it’s between him and Liverpool’s on-loan to Lille Origi for the no. 9 spot. Again height could play a part and Benteke could stay in the team, even though the Lille man’s speed could be useful. For a view on the Welsh team, we caught up with Rich(ard) Evans (@welshric1980) who will be at the game tomorrow and supports both Wales and Spurs. As an aside, in today’s ‘La DH’, Chadli said he’s not Gareth Bale … he’s Nacer Chadli and he has different qualities. Returning to Rich, although he thinks most Welsh fans would usually regard the team’s chances as ‘dim’, this time he feels things could be different as there’s now “a desire in the team to win every game.” Rich also thinks that the team and fans are behind Chris Coleman, even though his “tactics and style are at times still questionable”. Another big positive for Rich is that the team has many players from the Premier League and Championship – plus one from La Liga – whereas in previous years, it was quite common for Leagues 1 & 2 (i.e. the third and fourth divisions in England) to be extensively represented. Rich adds that many of those players could be said to be in a “rich vein of form”. 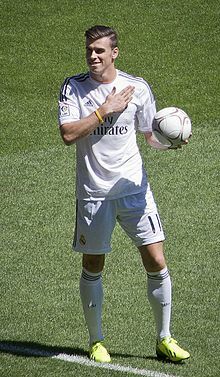 Obviously the big advantage for Wales is the pairing of Aaron Ramsey and Bale – two world-class players who have rarely played together for the national team. Rich sees Ramsey starting in the middle of the park with Palace’s Joe Ledley and Liverpool’s Joe Allen; Leicester City’s Andy King is out, suspended. 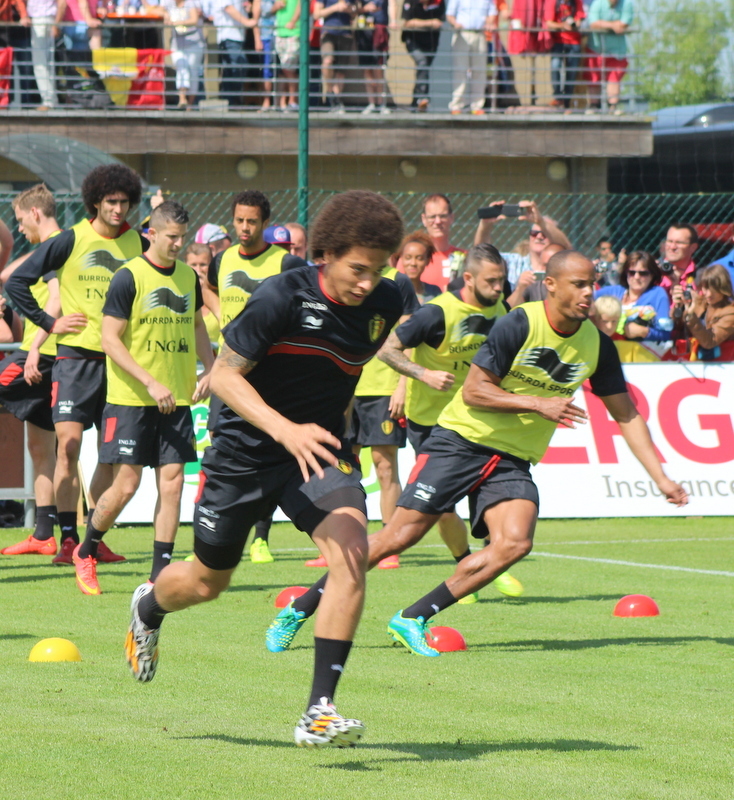 Rich argues that Belgium start favourites and should win even if they are not at their best. However he notes Wales’ “obvious sources of firepower” and thinks the visitors could “exploit some potential defensive weaknesses and indifferent form” and get something from the fixture. I agree, as I think the newly-formed Belgian back four could struggle. After the World Cup, Wilmots said he would aim to play a more attacking game. He’s changed his mind now and hence Witsel is back patrolling the space (s) in front of the back four. Given all that, I am going for a draw (2-2) with both Bale and Chadli getting on the score-sheet. Courtois; Vanden Borre, Alderweireld, Lombaerts, Vertonghen; Witsel, Fellaini, De Bruyne: Chadli, Benteke, Eden Hazard. 2-2?!!! That was optimistic, I myself predicted 1-0 most likely from a set piece against a Wales team that would look to get as many men behind the ball as possible and trying to use Bales speed to break on the counter. Alas I had nearly got it right. Good point for Wales, and I’m still not impressed by Wilmots, his appointment smacks of the Belgian FA cutting costs and hiring a cheap manager who’s only experience to date was a failed stint with lowly Sint Truiden. The tragedy is he won’t be replaced as even a donkey could take that Belgian team to France, where they will most likely underwhelm everyone again. My reasoning was that Belgium’s (new) defence might leak faced with Bale and Ramsey, and that Belgium would be effective enough to score a couple. Wrong on both counts. Belgium’s defence was solid and had little to do while the attack lacked a plan. Players getting in each other’s way and others who should not have been selected.